This year marks a decade of Esoteric Recordings. Beginning by releasing solely progressive rock music, it’s safe to say the style of their releases has strayed from the original remit somewhat. Nevertheless, I’ll continue to chase their reissues, as what some albums lack in prog, they make up for in quality and intrigue. 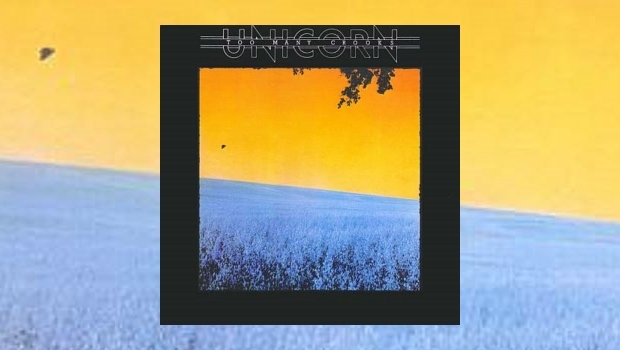 Unicorn is a classic example, a British band twisting American country music into a more melancholic AOR form. That sentence would have put me off, but there is gold to be found here, I promise. Make sure you have a good hi-fi or headphones before listening to this album, as the production, by Pink Floyd’s very own David Gilmour, is simply gorgeous: thick, warm bass, punchy drums, crystal clear singing and guitar. Even when the songs aren’t particularly memorable, your ears will be eating up the beautiful quality of the sound. Sit back, and let yourself be transported to an imaginary world where country and folk music was actually invented in England by John Lennon. Unicorn – a terrible name for a band with lyrics grounded in reality – expertly lead the way through this melancholic yet uplifting landscape. The opener, Weekend, is perhaps a bit too straight-forward country, but the rest of the album is anything but. Ferry Boat is brilliant in its design, featuring huge dynamic shifts, and even a tempo change near the outro. Even more inexplicably, it’s quite catchy too. Highlights include the hypnotic title track Too Many Crooks, with lyrics lying somewhere between Yes, Robert Wyatt and their own Lennon-esque melancholic blend. Floyd fans will be pleased to hear Gilmour playing pedal steel guitar in the outro. I knew that Gilmour played on the record, but I was confused when I heard the subsequent track Bullseye Bill, a track about their cantankerous road manager with all the energy of PFM and King Crimson. The guitar solo at the end of the track is nearly identical to that heard on The Wall, so I had presumed it was this track that the Floyd man played on. Disco Dancer, not nearly as peppy as the title, nonetheless makes for a good single track, with a solid beat and a singable, if dodgy-sounding chorus. The final highlight, however, is No Way Out of Here, a country track that turns into full rock with layered vocals and a powerful outro. This would have worked well as the final track on the album, but instead, the band finish with the far worse country outtake In the Mood – nothing to do with the Rush track. Esoteric’s reissue is once again exemplary, featuring an excellent essay by American fanboy David DiSanzo, several great bonus tracks and all the original artwork, with a couple of minor caveats. Firstly, the exclusion of the US artwork, which would have helped to explain DiSanzo’s point about the poor marketing. Secondly, the band photo collage from either side of the original inner sleeve has been replicated in the booklet, but has been chopped up to be spread across four double pages, with some minor cropping. Hardly a big complaint, but some fans might like to know about this. It’s surprising to find myself stoked about an album where I’ve used the word ‘country’ so many times in my review, but Unicorn’s take is truly refreshing, and with production help from such a high-profile star, they were hardly likely to go far wrong. Great release, Esoteric, but could we have some more prog, please?